Former WWE superstar and rising MMA phenom Bobby Lashley recently opened a gym in Denver, Colorado under the American Top Team banner. Fitting the theme of the high altitude training that Colorado offers, the gym is appropriately named "ATT Altitude!" "If you know any fighters looking for a training facility ala Big Bear and a great strength and conditioning coach, tell them to look no further," stated Lashley's manager, Greg Bloom. 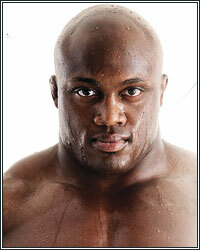 Lashley himself is expected to be back in action within the next couple of months. The undefeated Lashley was last seen pounding out MMA Goliath Bob Sapp at "Ultimate Chaos" in Biloxi, Mississippi this past June, earning a 1st round submission due to strikes.